We at turbinesonfire.org welcome your comments and suggestions. Please share your turbine lives with us and be sure to also log in at www.ill-wind.org to report any personal experiences. Health — nausea, headaches, tinnitus, vertigo etc. Plugged ears — sensation of plugged ears, difficulty hearing, ears pop when out of range of turbines. 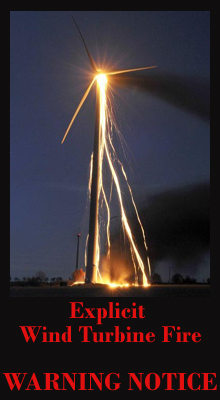 Unethical behaviour — closed door meetings, buyouts, lies, gov’t officials not divulging information, wind developer reps misrepresenting the information about turbines.